Motion can often be seen written as "XMN" and runs without a central bank or single administration. XMN, a cryptocurrency, is not mineable, therefore you must obtain the coins through an exchange service. It utilizes the X16R algorithm. 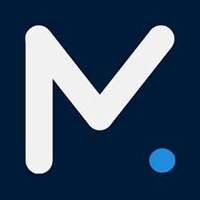 Motion are on social media sites such as Twitter and Telegram, so check them out to keep up to date with the latest news. We don't have any cloud miners listed for Motion yet, check back soon! We don't have any exchanges listed for Motion yet, check back soon! Visit our full motion mining calculator. We don't have any wallets listed for Motion yet, check back soon! We don't have any debit cards listed for Motion (XMN) yet, check back soon! We don't have any price charts listed for Motion yet, check back soon!